Marine organisms absorb toxins and heavy metals that enter the oceans from natural sources, such as volcanoes and the erosion of soils; more worryingly though, many of these toxins today originate from manmade sources, such as the burning of fossil fuels. These toxins accumulate through the food chain as one animal eats another, a process known as bioaccumulation. 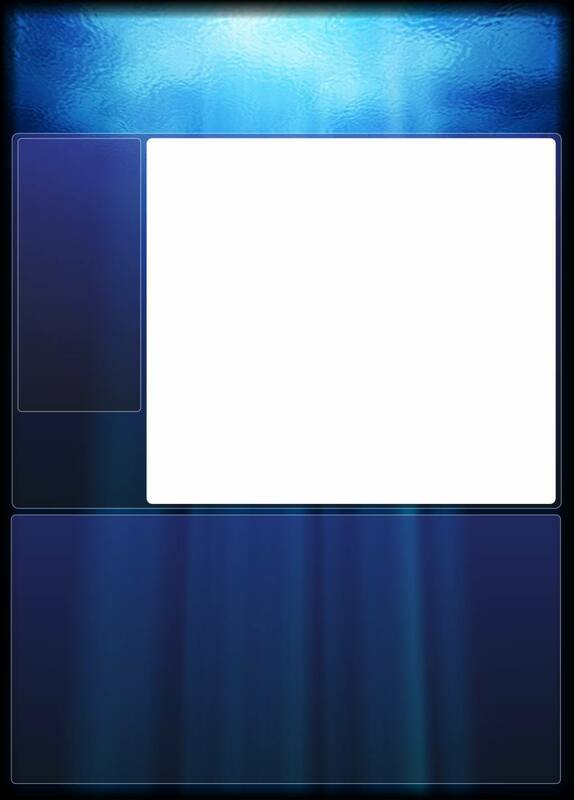 Bioaccumulation occurs when an organism absorbs a toxic substance at a rate greater than it can be removed. These toxins generally accumulate in the greatest quantities in large predatory animals, such as sharks, resulting in an amplification of their toxicity, known as biomagnification. The effects of these toxins on predatory species, such as sharks, remains unclear, but what we do know is that they do not want them and will even resort to offloading toxins to their offspring in a desperate attempt to remove them. As many sharks are positioned at the top of the food chain, they are the final stop for many poisons in our oceans. Additionally, as some shark species live for more than 50 years, the levels of toxins built up in their bodies are often much greater than in any other marine organism. When we eat sharks, we also consume and accumulate their toxins and, for humans, the effects can be fatal. Methylmercury is an organic form of mercury, which is a neurotoxin. Organisations throughout the world (including the United States Environmental Protection Agency (USEPA), the World Health Organization (WHO) and the Food and Agriculture Organization of the United Nations (FAO)) recognise mercury to be a dangerous neurotoxin and warn against eating sharks, especially for pregnant women, women who plan to become pregnant, and children. Methylmercury exposure can also cause serious neurological disorders, heart problems, and has been linked to infertility. In addition, a 2012 study found that 79% of shark fins tested contained high levels of BMAA, a dangerous neurotoxin linked to increased risk of Alzheimer’s and other degenerative brain diseases. 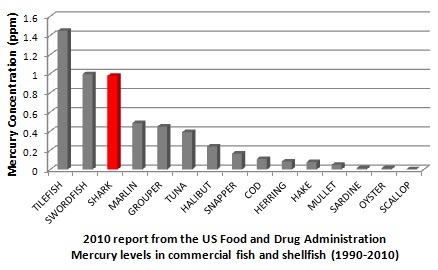 Fish with the highest levels of methylmercury include shark, swordfish and tilefish. Be aware that shark is sold under various other names, such as Flake, Rock Salmon, Rock Cod, Dogfish, Dried Cod/Stockfish, Pearl Fillets, Lemonfish, Verdesca (Blue Shark), Smeriglio (Porbeagle Shark), Palombo (Smoothound), Spinarolo (Spiny Dogfish), and many more imaginative names. Do I really need to be concerned about methylmercury? Consumption of sharks poses a real threat to human health; even small quantities of shark meat can contain large amounts of poisonous methylmercury. The human body assimilates >95% of ingested methylmercury. It passes the blood-brain barrier easily and reaches the brain at full, undiluted strength, something other toxic substances cannot do. In a pregnant woman, for example, the mechanism that separates her bloodstream from that of the embryo (diaplacentary barrier) is also bypassed without any problem. Subsequently, the accumulation of methylmercury in the developing brain and other vital organs of the foetus cannot be prevented. Massive developmental disorders of the brain and the peripheral nervous system, severe damage to kidneys and mutations can result. The fact that high doses of methylmercury over a short time period can cause more severe, and sometimes irreversible, damage than lower doses over a long period of time makes this problem even more serious. Join our campaign to Go Mercury Free by saying no to consuming sharks and other large predatory fish.